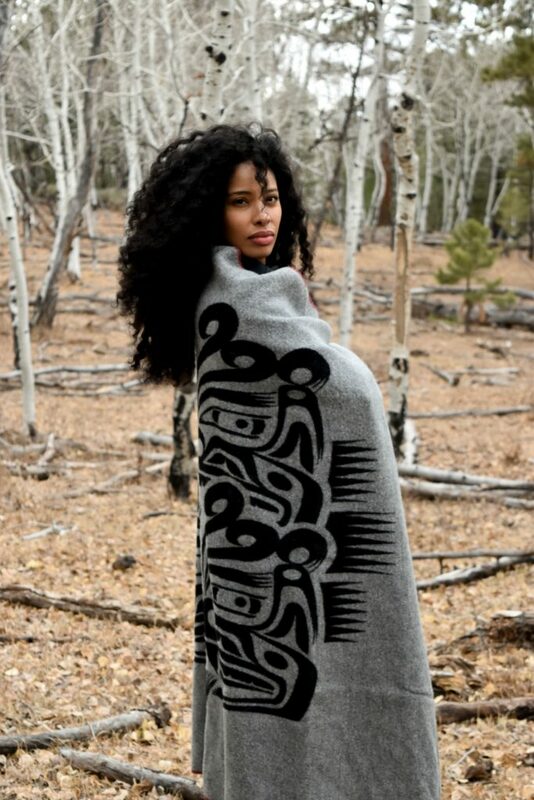 Fashionmongers Kelly Bedoni (Diné) of Native Lux and Shondina Lee (Diné) of She and Turquoise show us how to relax in style this weekend, with the help of Native American-designs. 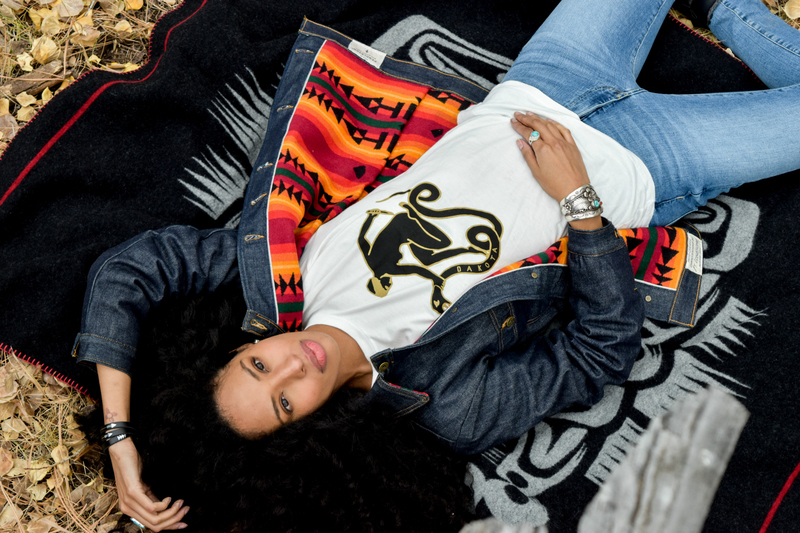 Fashionmongers and fashion bloggers Kelly Bedoni (Diné) of Native Lux and Shondina Lee (Diné) of She and Turquoise show us how to relax in style this weekend, with the help of Native American-designs. 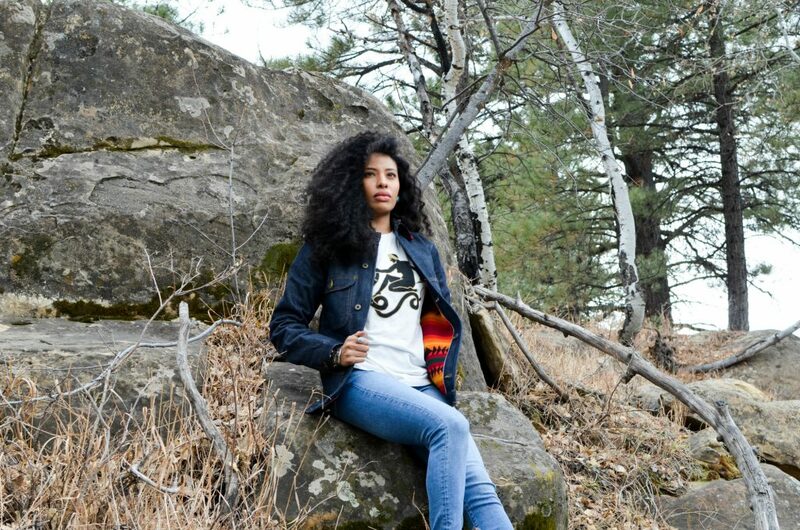 Featuring model Amber Whiting (Blackfeet/Diné) wearing Heritage Coat and t-shirt by GINEW. 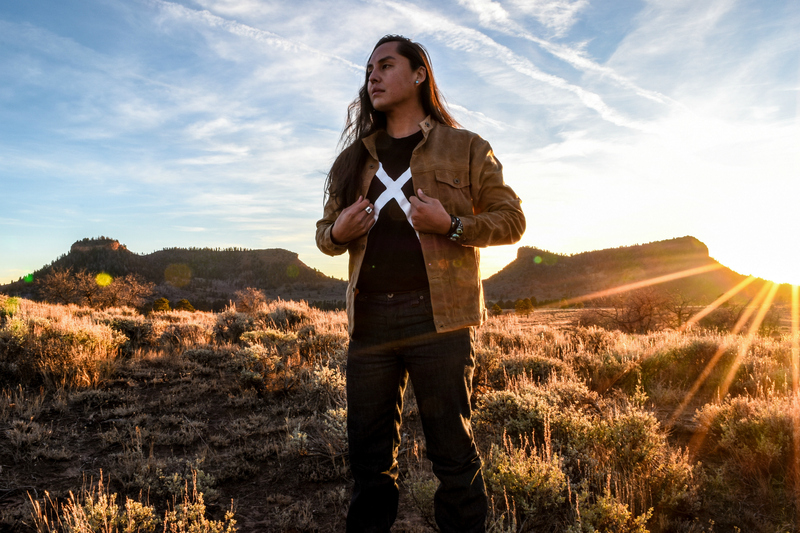 Black Leather bracelet by Maya Stewart and Sterling Silver Jewelry Alex Piechowski-Begay. Model Amber sporting “Guardians” Journey Blanket by Eighth Generation. 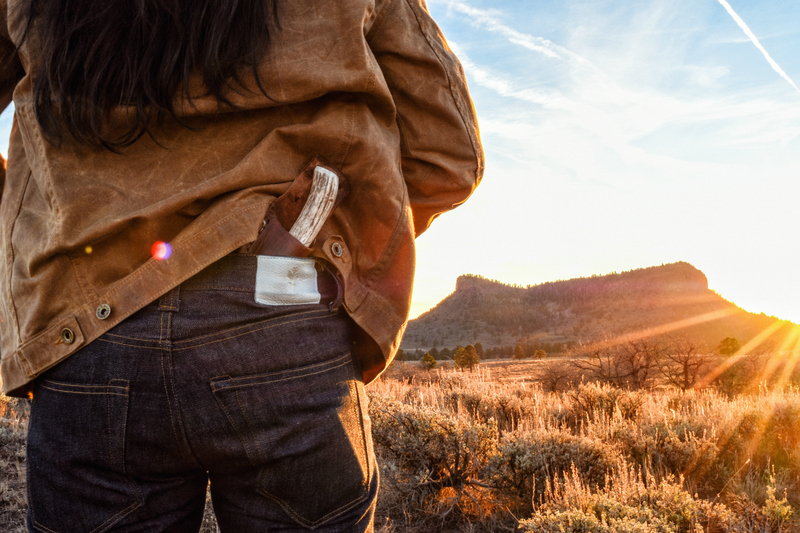 Model (and photographer) Kelly Bedoni donning Wax Canvas Rider Jacket and Crow Wing Jeans by GINEW, Black X t-shirt by Santiago X, Black leather bracelet by Maya Stewart and Sterling Silver Jewelry by Alex Piechowski-Begay.